*FREE* Human Resource Management Training Book. Each and every person in a business has a role within the organisation and therefore that makes them an asset. In effect they are the cogs that make the machine work properly. Don't make the mistake of thinking that staff are just numbers who are expendable, to be honest you will need them more than they need you! Although it is vital that you attract and hire suitable staff to begin with, then develop their skills within the business, and after spending all your time and money on them you might want to think about keeping them. Have a look below for more details. "Your staff are your single most valuable asset. Although it is vital that you attract and hire suitable staff to begin with. You need to develop their skills within the business, and after spending all your time and money on them you might want to think about keeping them." Researching and sourcing your staff. Managing and assessing your employees' performance. Developing and training your staff. As the leading restaurant manager resource website in the UK since 2007 you can be assured that our training book contains real advice written by real professionals to help you achieve real results! Have access to expert advice 24 hours a day to guide you through the tougher times of running your restaurant and bar! Get yours today for only £2.99! FOR A LIMITED TIME ONLY GET YOUR COPY FOR FREE!!! 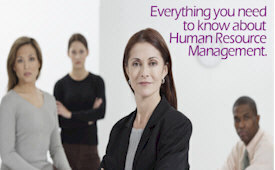 TO DOWNLOAD YOUR HUMAN RESOURCES MANAGEMENT TRAINING BOOK FOR ONLY £2.99 FREE CLICK ON THE LINK BELOW.